Welcome to the Health Data Weekly News Roundup from IMAT Solutions. As the power of data continues to grow in the healthcare arena, today’s care organizations need to be on the forefront of all news and trends to help ensure that their data analytics efforts deliver accountable and informed care. Each week, we will provide you with the actionable news you need to meet these goals. 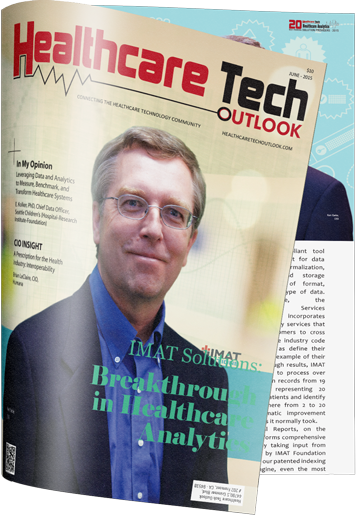 EHR Intelligence recently ran this feature story about how HASA is leveraging data analytics tools from IMAT Solutions to ensure health data exchange is fast, accurate, and simple for busy providers. Healthcare data analytics is having the biggest impact on the effectiveness and efficiency of clinical workflows, according to an annual survey of 185 healthcare leaders by HealthCare Executive Group and Change Healthcare. The push to promote interoperability must include considerations for exchanging patient generated health data (PGHD) through remote monitoring devices, wearables, and other technologies, according to a recent letter from AMIA. After spurring nearly universal EHR adoption in acute care facilities, CMS is now looking to promote similarly widespread EHR adoption in post-acute care (PAC) settings. Healthcare interoperability is growing in importance as the amount of heath data proliferates and the free flow of data between patients, providers, and payers becomes essential for better healthcare, according to Forrester analysts. Humana has announced a series of initiatives to increase value-based care for orthopedic services among its Medicare Advantage members.